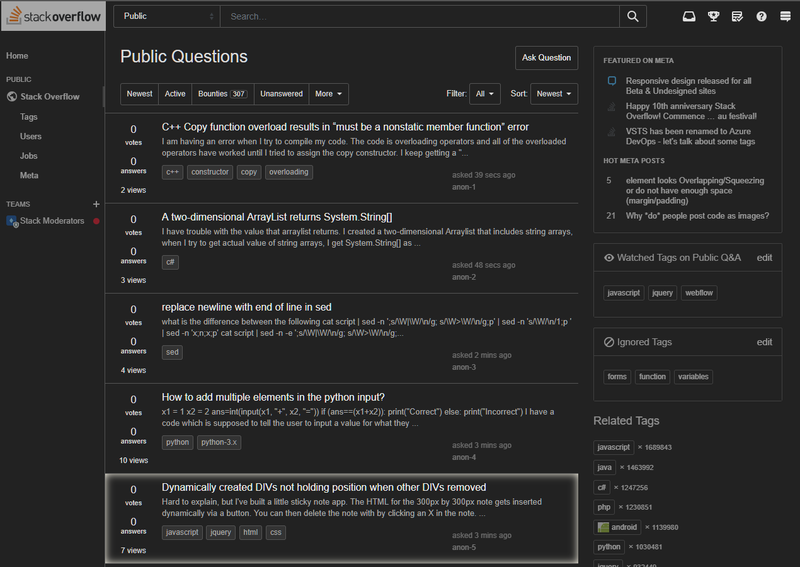 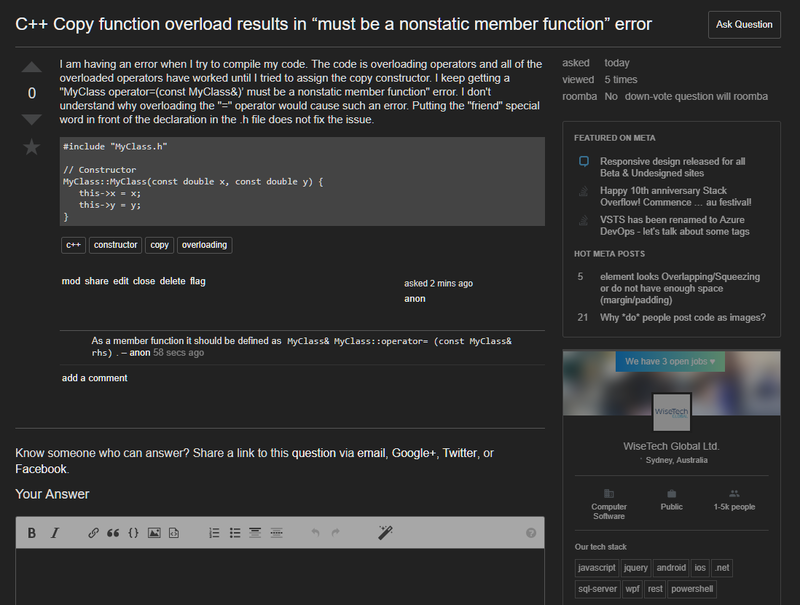 Dark theme for Stack Exchange. 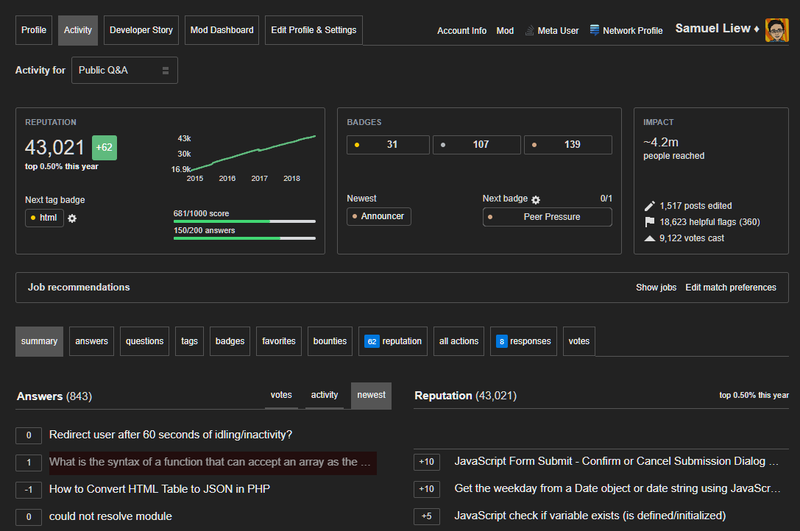 Some elements like sidebars and footers have reduced opacity until focused/mouseover. 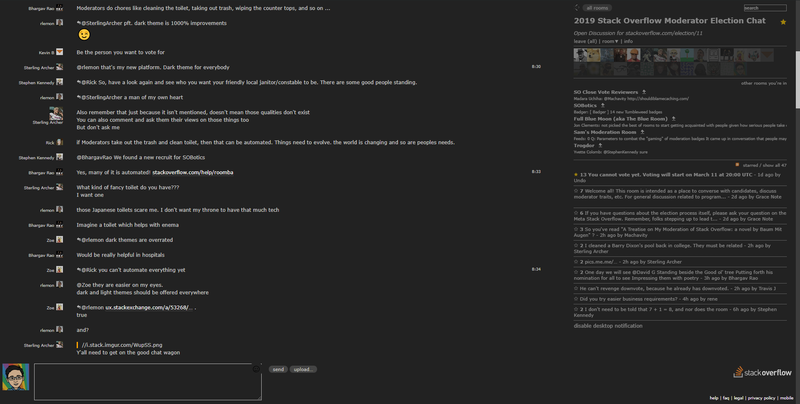 Some colours like badges and bounty indicators are retained.